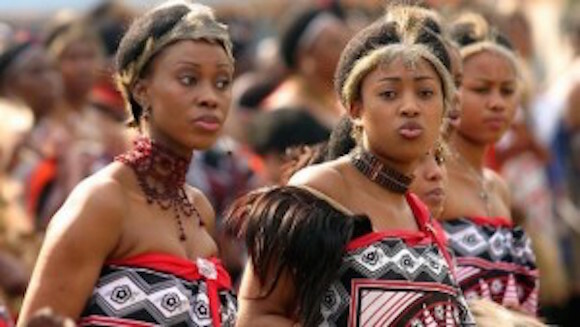 Swaziland’s King Mswati III has chosen an 18-year-old beauty pageant contestant as his 15th wife. 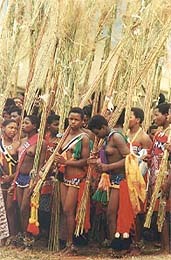 Mswati, a 45-year-old who is sub-Saharan Africa’s last absolute monarch, introduced Sindiswa Dlamini at a Reed Dance celebration over the weekend, Mtetwa told AFP. She wore red feathers on her head — a sign of royalty. The king has come under fire for his household’s lavish lifestyle while the tiny mountain kingdom’s 1.2 million people struggle to make a living. Mswati reportedly has a personal fortune of around $200 million (152 euros) and the UN estimates that 70 percent of his 1.2 million subjects live below the poverty line. via Swazi king to wed 15th wife : Diaspora Messenger News Media.